Real Madrid have reportedly made their first official bid to Chelsea for Eden Hazard. The Blues have rejected the offer, but they know they may be forced to cash in this summer or risk losing their talisman for nothing next year. Madrid are desperate to bring the 28-year-old Belgian star to the Bernabeu. And now it appears they are stepping–up their efforts by lodging an offer, according to the Daily Record. Hazard’s deal at Stamford Bridge expiries in June 2020, and if he continues to refuse an extension, he will be available for free. And the Record state he has “taken news of the offer as a signal that the Spanish club will go the extra mile to agree a transfer fee in the coming window”. And Madrid are hoping to force Chelsea’s hand. Last year they used the threat of the Blues losing Thibaut Courtois under freedom of contract to bring the goalkeeper to the Spanish capital. Chelsea are obviously desperate not to lose their main man but will demand at least £100million for the ace if they decide to sell. The attacker has previously admitted his interest in playing for the La Liga giants. When quizzed about a transfer to Madrid in January, Hazard said: “Why not? You know it very well. You’re asking the question, but you know what the answer will be so you don’t have to ask it. 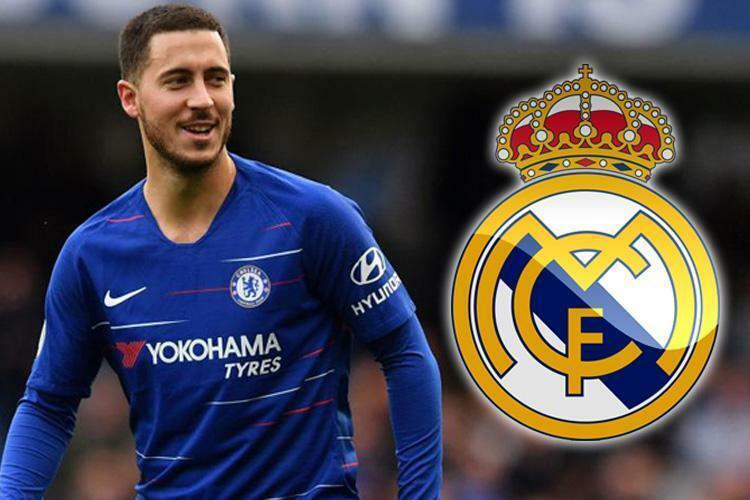 And as speculation mounts over his future another report from Spanish football expert Guillem Balague claims newly-returned Bernabeu boss Zinedine Zidane is ready to let Gareth Bale head the other way in order to land Hazard. Balague said: “To get the best out of Bale, Zidane is going to have to put an arm around his shoulder. But the first option will be to try and sell him. “But it won’t be easy because he earns about 12million euros net and Real Madrid probably want around 75m euros to sell. “He’s going to be 30 in July, so Man United may think twice about putting that kind of money in the direction of Real and Bale.